Kismet Rubber Products has earned the reputation as a leading extruder of custom rubber and silicone parts for industrial applications. Our attention to detail and commitment to excellence for every project, coupled with our experience and knowledge of the industries we serve, ensure that your extruded product will meet or exceed your expectations. For over 60 years, Kismet has provided high quality, high performance extruded parts to the electronics, aerospace, healthcare, construction, transportation, food processing, appliance, marine and power generation industries. Kismet's 100,000 sq. ft. facility is fully equipped with the latest equipment and technology, providing the capability to manufacture parts in quantities from short to full production runs. We have eight extrusion lines, continuous cure microwave, salt cure, steam cure, and HAV systems, precision cutting and splicing machines, and value-added finishing services. In addition, we build all of our own extrusion dies, splice molds, and corner molds to ensure that your parts are manufactured to the most exacting requirements. We provide a selection of standard and custom thermoplastic rubber (TPE) and flexible PVC elastomers. At Kismet Rubber, we understand that the quality of your finished product is dependent on the quality of the components you use. We are committed to manufacturing your part to the highest standard of excellence so you can be assured that your Kismet component will meet or exceed your expectations. 1 Neoprene® is a registered trademark of DuPont Performance Elastomers # Neoprene® is a registered trademark of DuPont Performance Elastomers for their brand of Chloroprene Elastomer; Kismet Rubber Products reserves the right to provide a chloroprene material of another manufacturer in lieu of Neoprene®. 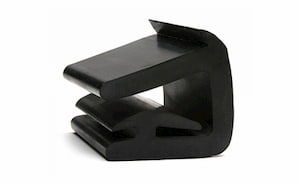 Kismet Rubber Products is a leading manufacturer of custom extruded profiles for industrial applications. We have over 60 years of experience providing custom extrusions that meet or exceed our client’s expectations. 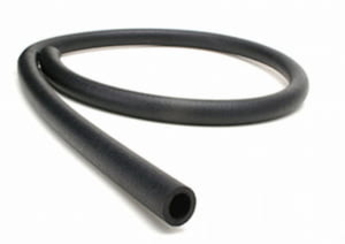 Kismet Rubber Products offers extruded rubber tubing and cord, which is available in a range of colors and materials to meet your specific requirements. Click to learn more about our tubing & cord capabilities! 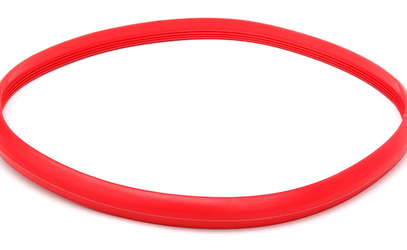 Kismet Rubber Products manufactures high quality gaskets and seals for a range of applications. Products include: o-ring seals, door seals, filler strips, as well as custom gaskets and seals. Kismet manufactures a high quality formed hose that will perform well in your application – accommodating the hose path, media to be conveyed, pressures or vacuums in the flow, and any environmental considerations. We specialize in extruded and spliced endless o-rings, which are a great option when standard o-rings will not meet your needs. 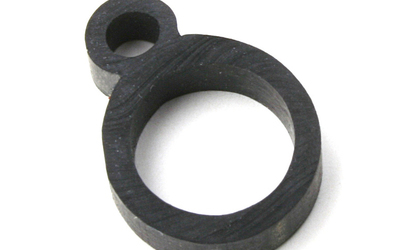 Kismet Rubber Products offers lathe cut washers, which are a cost-effective solution for applications that require a wider sealing surface and superior resistance to compression during operations.